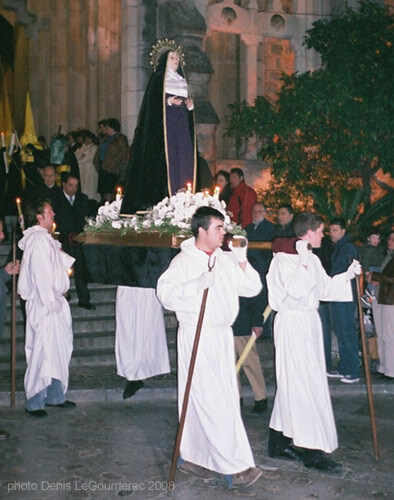 - the procession goes back into the church where the statue of Jesus is laid into a coffin, thus closing the reconstitution of the death of Jesus. 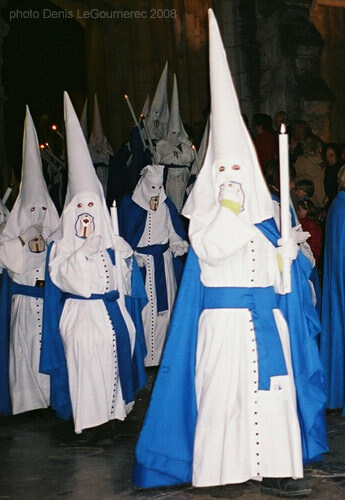 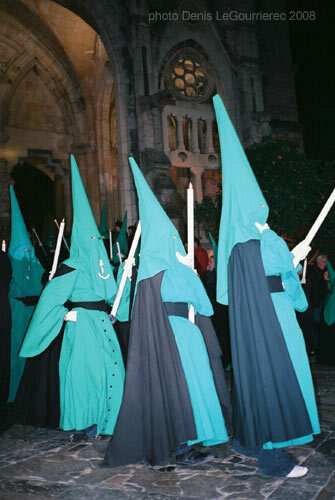 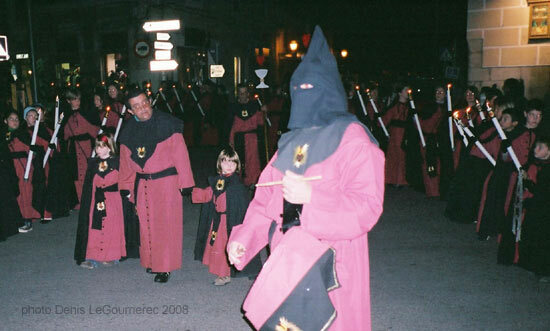 Penitents wear a "nazareno" or penitential robe and a hood with conical tip called "capirote". 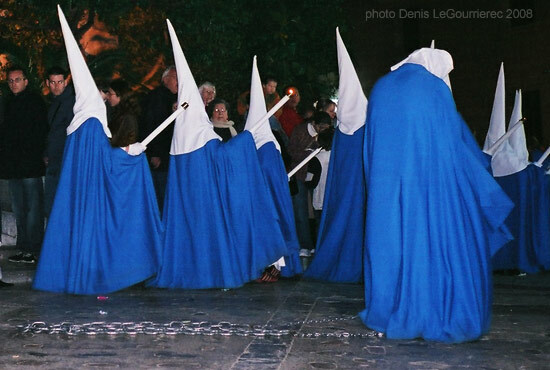 Each confraternity (cofradía) wears a different colour. 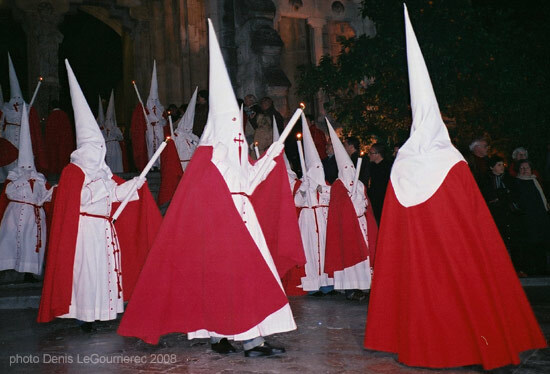 and the Ku Klux Klan, ironically anti-religious, copied the style. 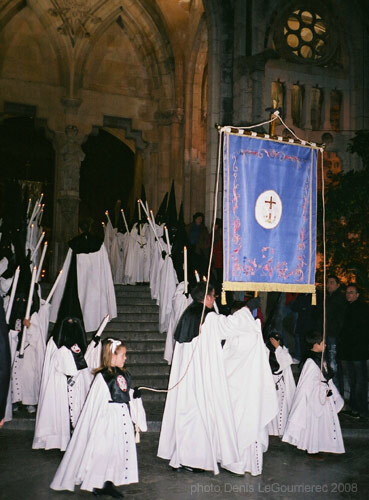 cities, pasos may be much more elaborate than in Soller.